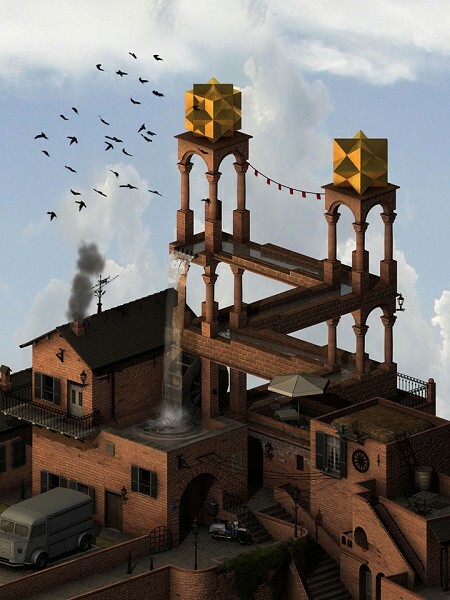 A variation of Escher's waterfall over red brick house. Old light van, motorbike and a line flags imply that someone lives here. When the waterfall is working a flock of birds goes to peck missed seeds.